This post is different from the norm but I've always wanted my blog to be an area were I share basically anything I want because maybe not now but someone, somewhere at sometime may find it useful. I met my husband ten years ago and his hair has always been fine. He has a lot of it but the individual strand is very thin so at certain angles he can look bald. Coupled with the fact that he is definitely getting thin at his crown area it's finally started to bother him. As it's only fairly minor I figured that we could find a solution for the time being the meant that the contrast of his pink toned scalp wasn't as prominent as his brown hair. I looked at sprays that you can get for men that basically spray the skin a tone of their hair colour to help it blend but at £8 a pop I figured that there must be an alternative. 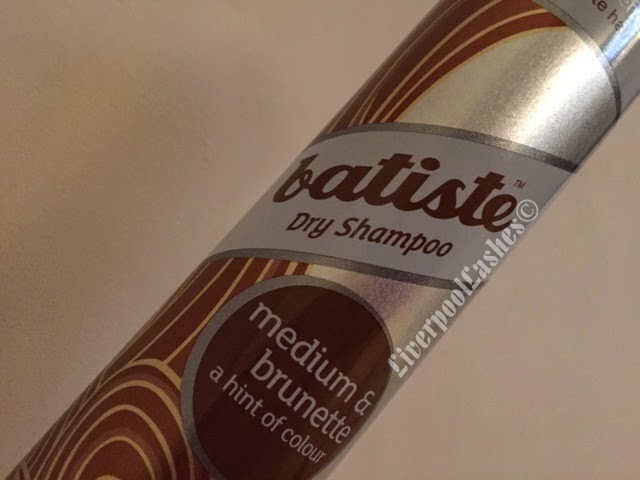 I therefore had the idea of getting the coloured version of Batiste Dry Shampoo and giving that a whirl and I must admit I'm patting myself on the back over it. He does need to pay attention to not rub it away but for now it lightly fills the colour in and the problem area is disguised! Bingo!